I kill plants in many ways including death by dog and dehydration, so I try to minimize garden risk when I can. That’s why I “know my zone”. It’s Zone 6, the USDA Plant Hardiness Zone assigned to the Hudson River Valley. I can safely plant, without fear of frost, after Mother’s Day. One of my favorite ways to enjoy spring travel is to explore plant sales at a museum or garden in an unfamiliar town. Last weekend I headed down to the Barnes Foundation in Merion, Pennsylvania. Their art collection was relocated to center city Philadelphia (If you are unfamiliar with the brouhaha concerning the move, check out the fascinating documentary, “The Art of the Steal”. ), but the Foundation maintains a suburban arboretum and holds an annual spring plant sale for its benefit. Besides the sale, volunteers offered free tours providing highlights of the 3,000+ species maintained at the site. 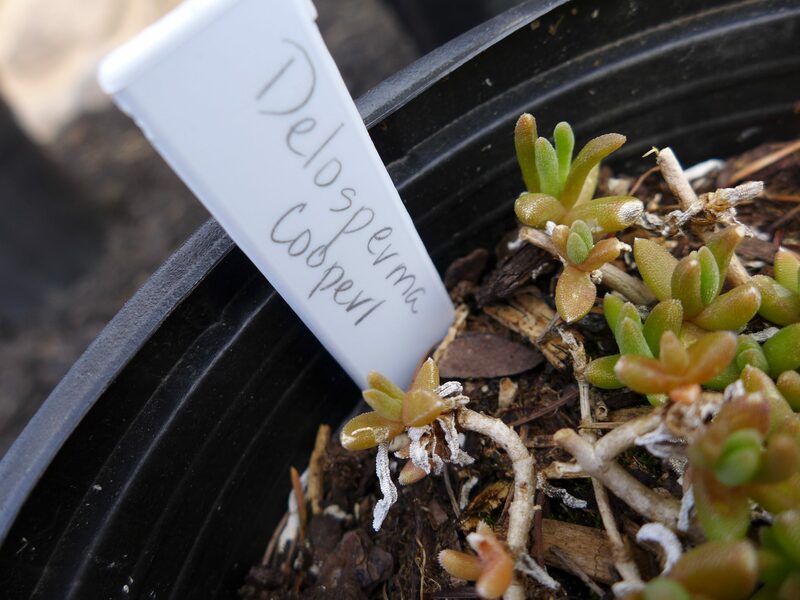 Delosperma Cooperi is commonly known as Trailing Iceplant-lovely. I also picked up Helenium Flexuosum. I will not tell my highly allergic daughter it’s called sneezeweed! Next week, I’m heading to Sharon, Connecticut and Trade Secrets, an annual event featuring plants and garden antiques for sale to benefit WSS, a not-for-profit organization providing services to people who have experienced domestic abuse. I haven’t decided on my ancillary activities yet; maybe a hike in Housatonic State Forest, travel the Barn Trail or visit Connecticut’s Plymouth, a town settled in 1795 and a center for clock-making. Information about the area’s attractions, dining, and lodging options is available on the Litchfield Hills tourism site. 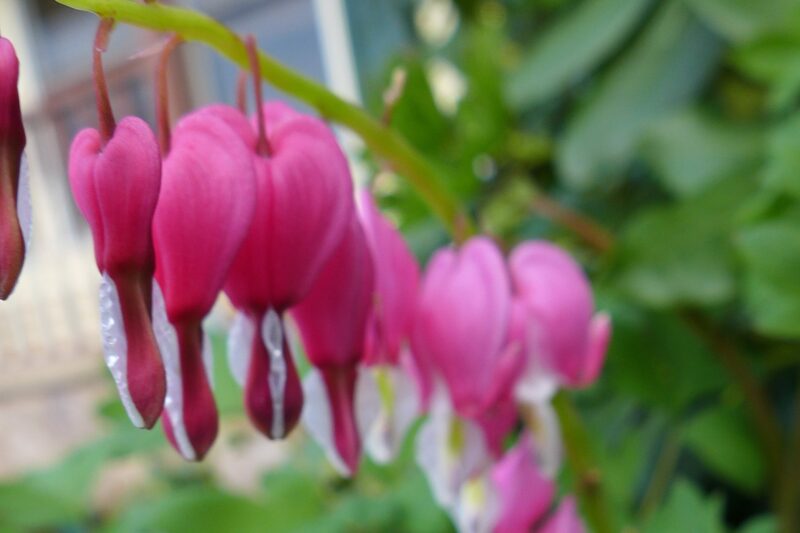 To plan a plant sale expedition, set a comfortable driving radius and search for upcoming dates in the area on the internet or by contacting the local cooperative extension; they’re a terrific resource for all things horticultural. Plan on arriving as early in the day as possible. Many sales are wildly popular and late birds will find that all the good stuff’s gone early. Some offer preview hours for an additional cost. It’s worth it, if you’re looking for something particular. When you arrive home, promptly remove your plants from the car and give them a quick bath – very important if they’ve spent the day in a hot car – and get them in the ground as soon as possible. Then kick back, relax and enjoy your hard work. Care to share information about plant sales in your area? I’d love to know to help plan future road trips! I’m killing one now–death by failure to repot. I only buy fighters. This one’s tough and shall be rewarded. Night-blooming cerius (spelling?). Ugly, tuff, and blooms one giant bloom for one night a year. I better be in town. So funny…I’m slowly transitioning to perennials from annuals. Although they’re not as pretty when cut, they’re more tolerant of misbehavior by their owners.